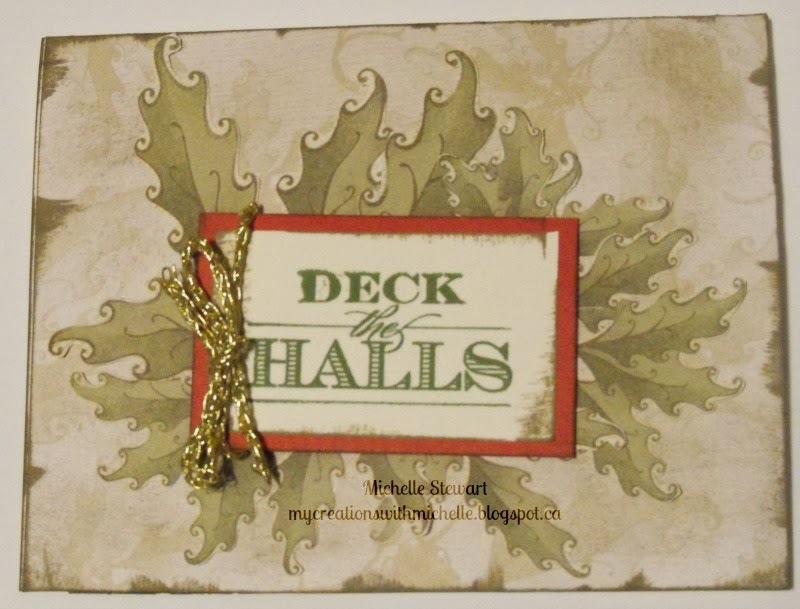 I started with a Colonial White Cardbase, and added a neutral patterned design from the retired Mistletoe paper. /I then fussy cut out the Holly from the reverse side of paper, and placed them in a random pattern. I distressed the whole card with Chocolate Ink, and then stamped the sentiment from Yuletide Greetings(D1553) in New England Ivy. I layered the sentiment onto Cranberry CS and 3D Foam popped the sentiment. Added a bow in some gold twine I had on hand to finish it off. 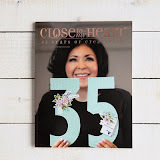 I hope you have time to grab a cup of java, and to hop on over to the Atlantic Hearts Sketch Challenge Blog where you can see the amazing creations from our Design Team. My sketch for this weeks Challenge was suppose to be followed exactly as sketched, and using the Love Doily, however, my idea changed as our first entrant this week had made my card as I had envisioned it. LOL! So, I'm back to square one, I still want to stick with the rectangle shape, and cut my card base so that it measures 3 1/2" by 8". The base is cut from White Daisy CS. Next I took the large snowflake from the Stamp set Snowflakes(D1480) and stamped it with Versamark Ink and heat embossed it with Silver Embossing powder. Next using a mixture of different snowflakes I stamped around the embossed snowflakes in Crystal Blue Ink and Twilight Ink, both were stamped in first and second generation. 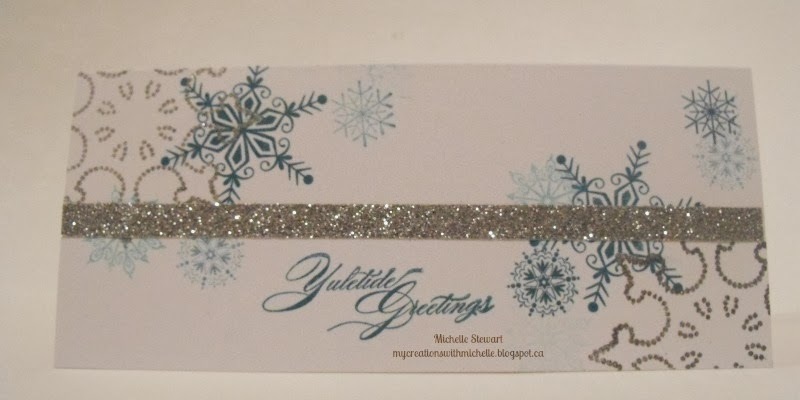 To finish the card off, I added a strip of Silver Shimmer Trim, and the Sentiment comes from Yuletide Greetings (D1553), which is stamped in Twilight Ink. This size card is perfect for a cash card.....and who doesn't like receiving cash at Christmas!!! 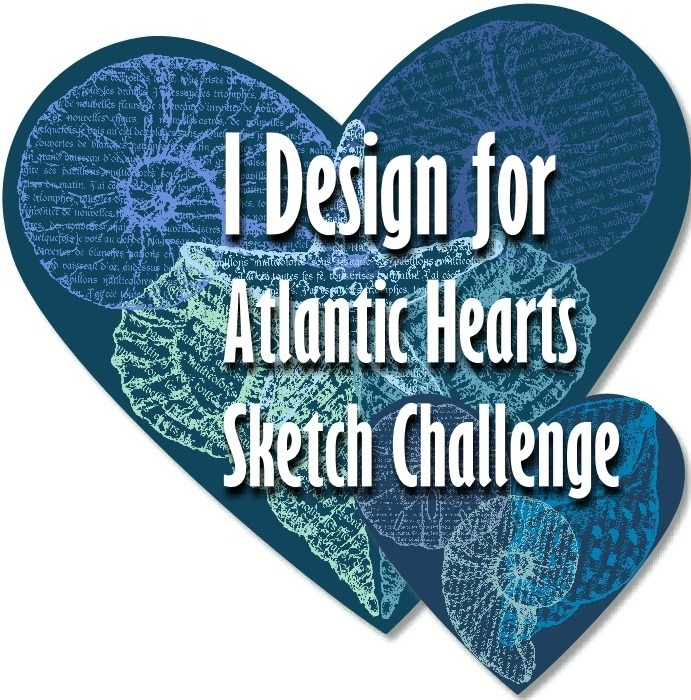 Please remember to go check out the design team's creations now over on the Atlantic Hearts Sketch Challenge. I am so in the Christmas spirit. 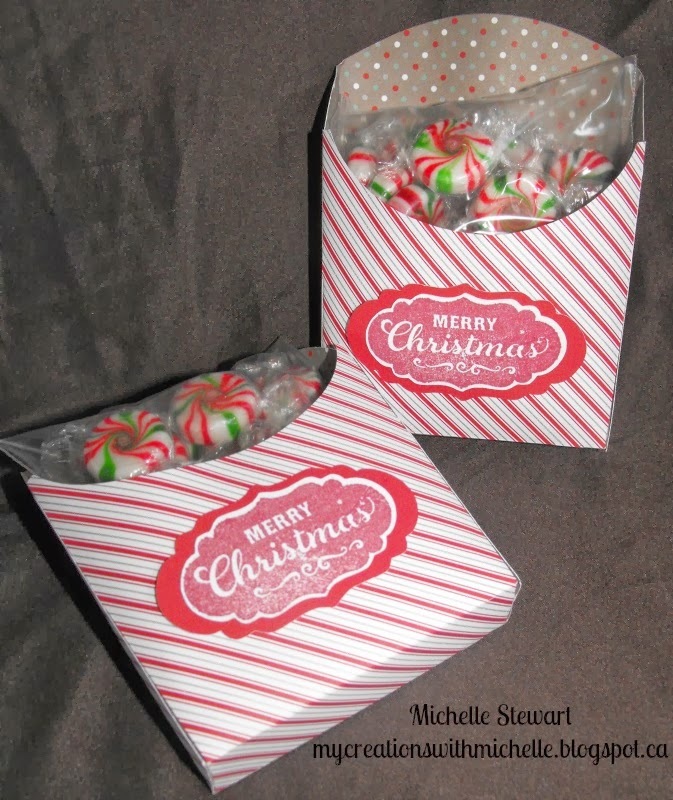 I can't help it, I've been designing so many fabulous creations to sell at the markets and craft fairs. I really love the Believe paper from s few years ago now, it was before my time but I was able to snag a few bulk paper packets. So for this card, I made my own background for the bottom half of the card, using the colour Sky which is found in the Believe paper. So I did tone on tone, stamping the snowflakes and dots all in Sky ink on the Sky CS. 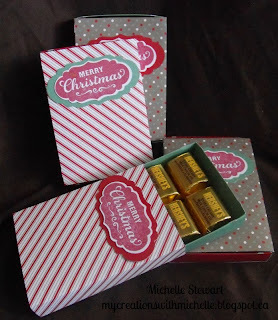 The sentiment is stamped in Black ink, and all the stamps are from the Frosted Card Workshop. The ribbon is retired, as well as the Believe Paper. The buttons are clear actually, and I coated them in Sky pigment ink, and clear embossed them. You can find more information about my upcoming classes here, and which local markets/craft fairs I will be at here. So now that you have seen my creation, won't you pop on over to the Sketch Challenge and see what the Design Team has in store for you. This week I really enjoyed making my card for my sketch featured on Atlantic Hearts Sketch Challenge. Incase you are new to following my blog, my bestie Darla Haverstock, and myself have a Sketch Challenge where every Monday morning we provide a new sketch to be played with. On Wednesday's we post the Top 3 entrants from the previous week, and we post the Design Teams creations. I create the sketches, along with some sketches provided by the members of the design team, and Darla does the digital work, she is my techie guru! I started with the For Always paper, and used the technique direct ink to the paper, by taking my ink pad and swiping it over the paper I was able to die it Cotton Candy. 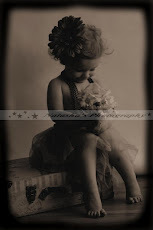 The sentiment is stamped with Black Ink on White Daisy CS, which is matted on a piece of Black CS. The images are stamped with Cotton Candy in 2nd generation. These images and the sentiment are from Hello Tweety(B1410). The flower and leaves are from the retired stamp set Friendship Blessings (D1191). This stamp set has outline stamps, and solid stamps, which create these beautiful flowers. The outline is stamped in Hollyhock, and the solid is stamped in Cotton Candy. The leaves are done the same way. I've done them in 2 different tones. Outlined in Topiary and solid stamped with Pear, and outlined with Pear, and solid stamped with Sweet Leaf. I've added some Pink bling which is now retired to dress it up some. Here are some close-ups of the stamping and of the flowers. So, don't forget to go and visit Atlantic Hearts Sketch Challenge to see what our Design Team has created to inspire you! I still have a few sheets kicking around from last season's paper, and made a few cards to sell at the markets this season. Here are a few that I made so far. 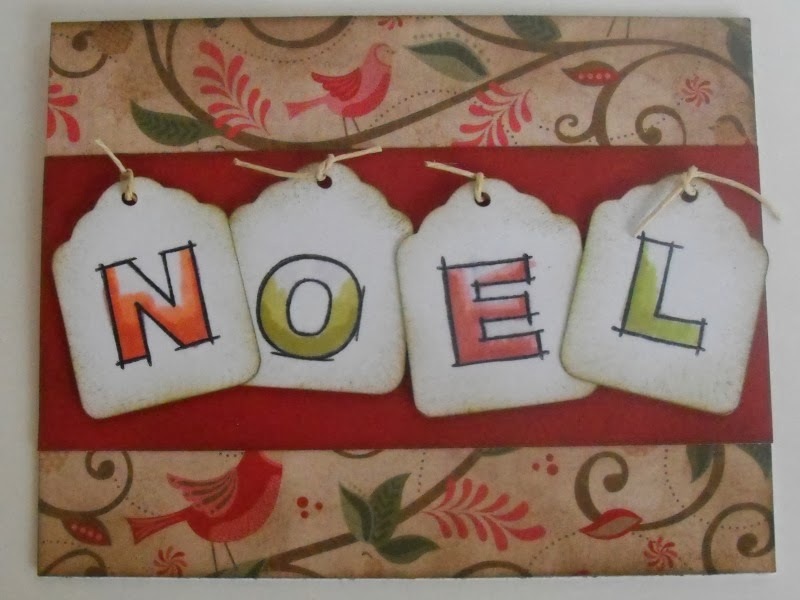 This one I cut tags from the Art Philosophy cartridge and then using the New Frameworks Alphabet Stamp set(E1027) I stamped out the letters to spell Noel, and coloured them in using our Alcohol Markers. 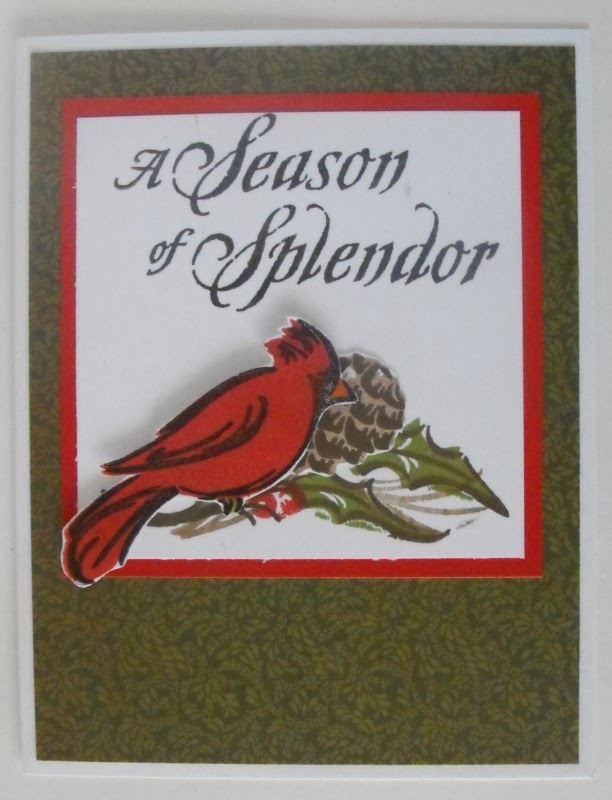 This one is made using a retired stamp set called Season of Spendor(D1326) . The leaves and berries are stamped directly onto the paper, the pinecone was stamped then trimmed and adhered, and the Cardinal was stamped, trimmed and popped using 3D foam tape. 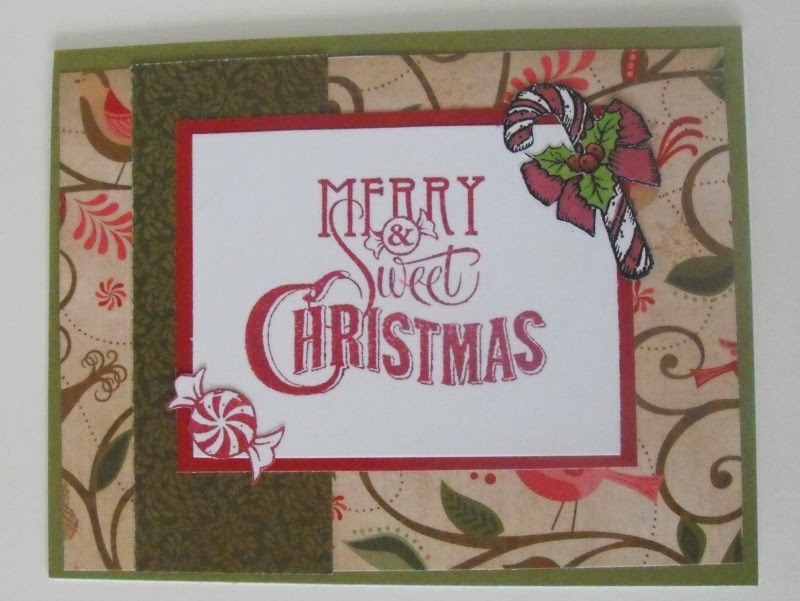 For this card, I used the New Stamp set Candyland(D1557), the sentiment is stamped right onto the paper, I stamped the images onto a piece of scrap paper, and coloured the candycane, trimmed them out, and adhered to the card. For this final card, I used the stamp set Yuletide Greetings (D1553). 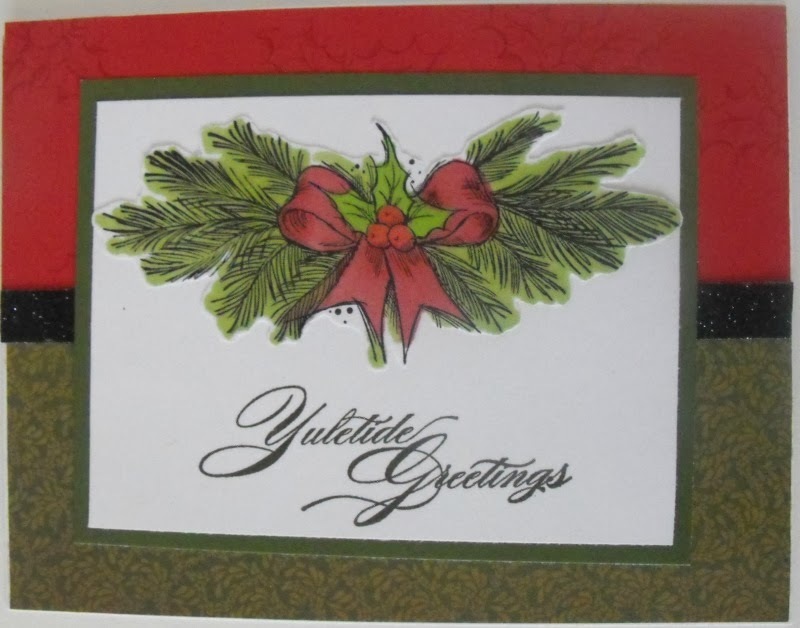 Using the holly leaves I stamped a tone on tone on the cranberry to create my own background. I stamped the image and coloured it using the Alcohol Markers and fussy cut it out, and adhered to the mat. 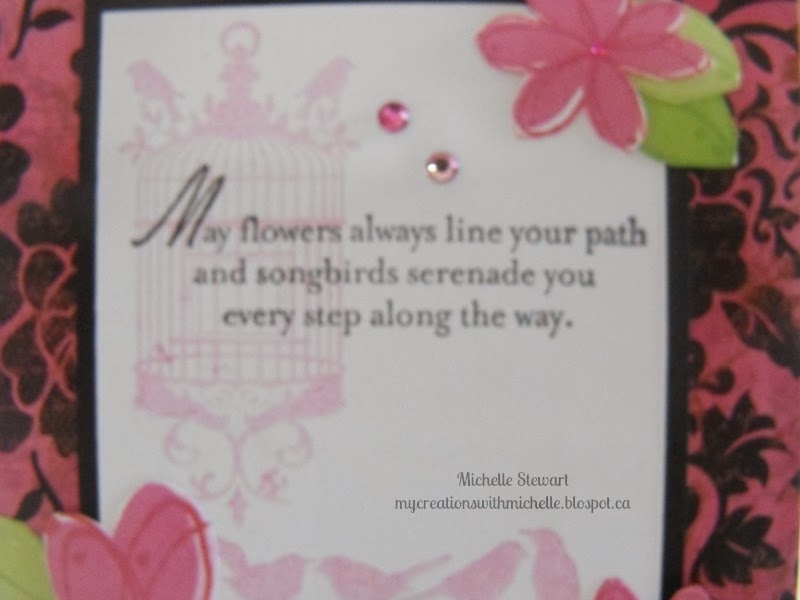 The sentiment is stamped in Archival Black Ink, and I used the black Shimmer trim to finish the card. 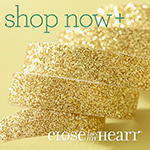 These cards are available for purchase along with other items, you can find them all here. 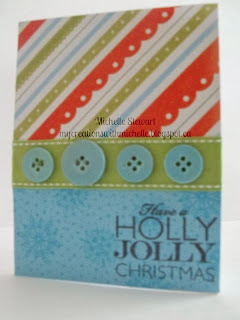 Today I'm sharing a card that I made using the New Sparkle & Shine Paper, and the Mini Stamp HoHoHo. 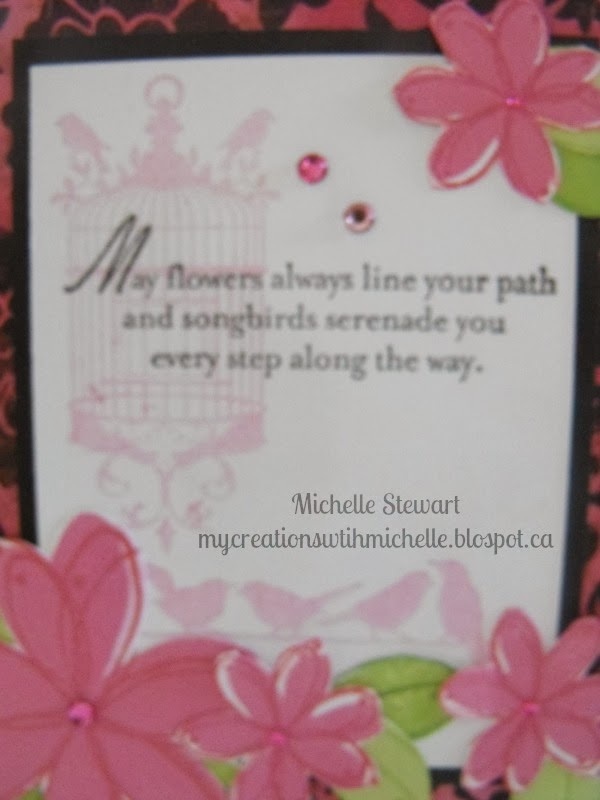 My inspiration comes from a card made by Vicki Wizniuk, you can find her version here. 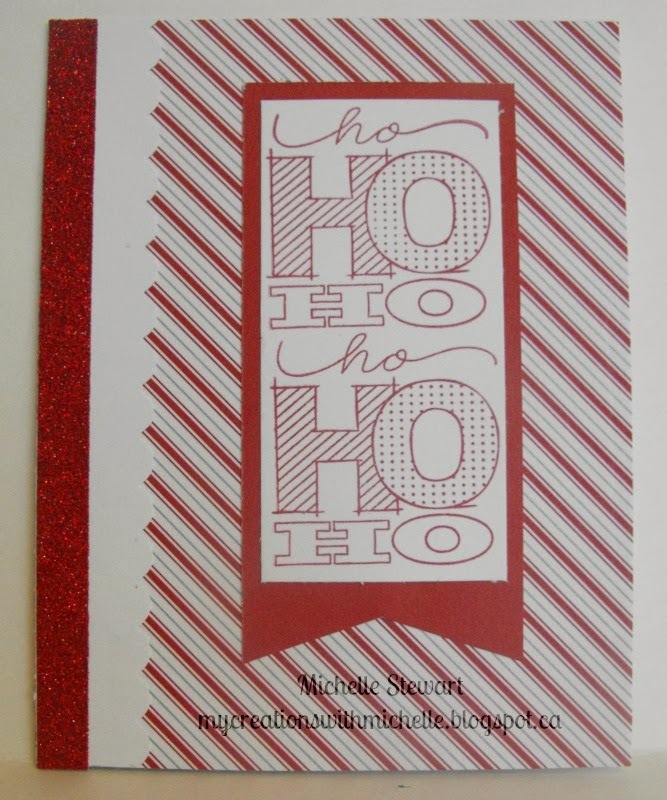 I hope you like this, as I had so much fun playing with the scallop border punch and the Red Shimmer Trim.